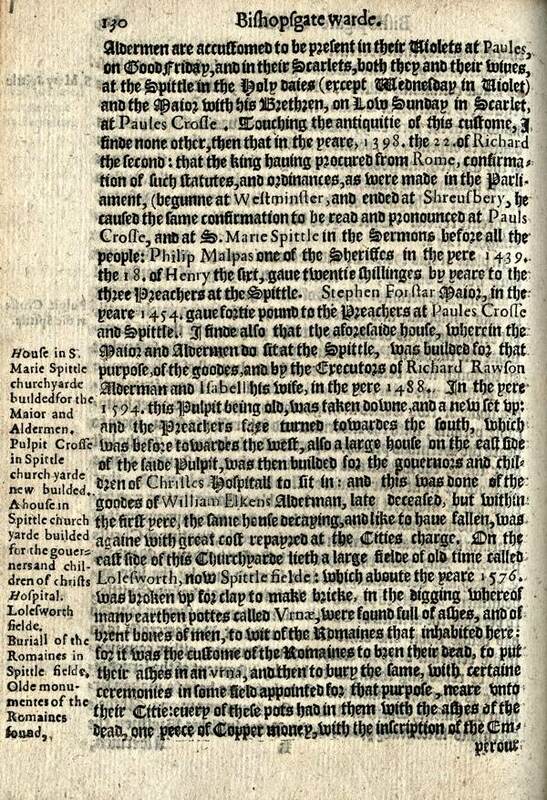 At the Bishopsgate Institute, I love to study the 1599 copy of John Stow‘s Survey Of London. 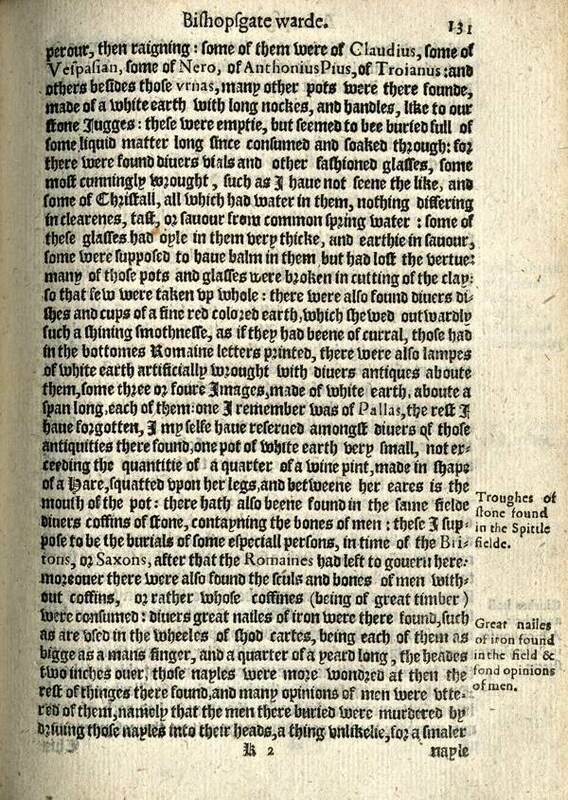 As a publisher myself, I find it touching to see the edition that John Stow himself produced, with its delicate type resembling gothic script, and sobering to recognise what a great undertaking it was to publish a book four hundred years ago – requiring every page of type to be set and printed by hand. 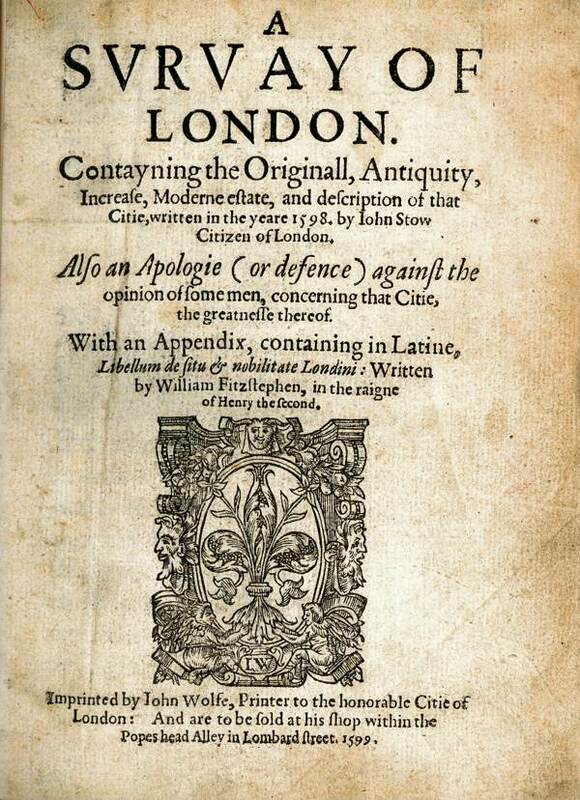 Yet in contrast to the dramatic changes he witnessed at first hand, John Stow also described his wonder at the history that was uncovered by the redevelopment, drawing consolation for his sense of loss by setting his life’s experience against the great age of the city and the generations who preceded him in London . 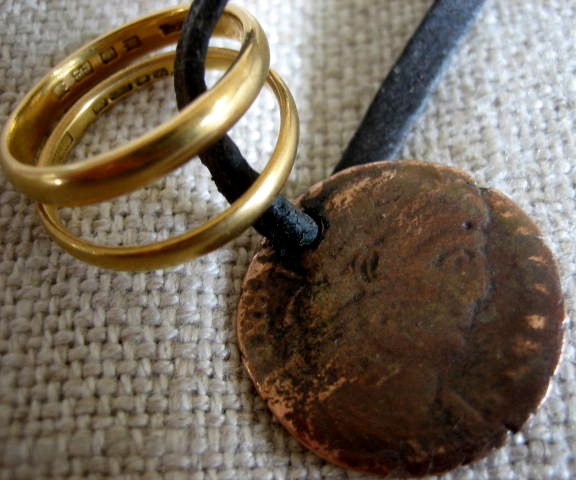 All more than interesting – couldn’t much of this information make school history classes about the Romans somewhat more fascinating if only because children would consider some of the content macabre – but the seed of interest might be sown! 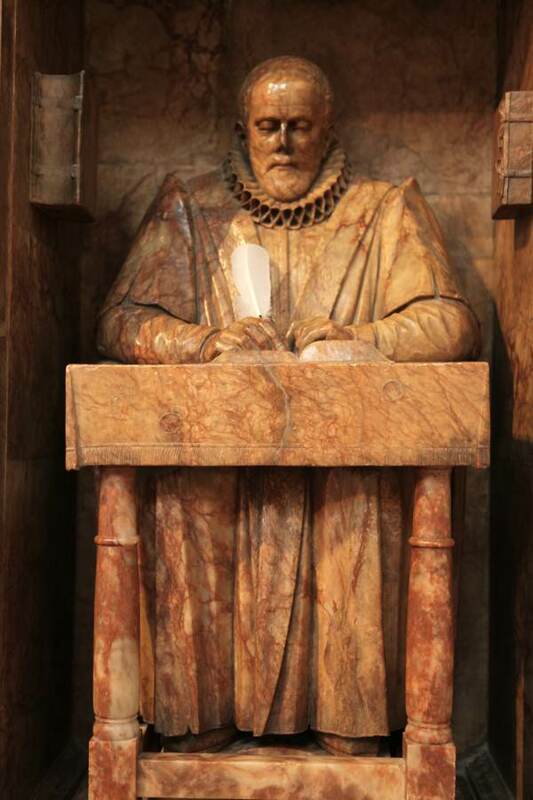 GA, that is a most impressive statue of John Stow, quite a substantial presence.